The pre-dawn stillness of “the bush” was broken by our wildlife tracker, a tall man by the name of Enoch, pounding on the pole of our tree camp platform and announcing “time to get up!” It was not quite 5:00am in the Klaserie Private Nature Reserve and the blackness of the eastern horizon was just turning a light gray. It would still be some time until we saw the first rays of sunshine. Somewhere, off in the distance, a nocturnal hyena giggled. We’d flown for two days and two nights to fulfill our dreams of going on an African safari and we’d finally made it to the bush. For several years, we’ve had the dream of going on safari in South Africa. My parents had been to Africa several times and they urged us to “visit Africa before it changes.” We’d spent years trying to figure out a way of making this trip happen, but limited vacation time always got in the way. We couldn’t fathom making the trip for anything less than two weeks. We didn’t want to cut our experience short. 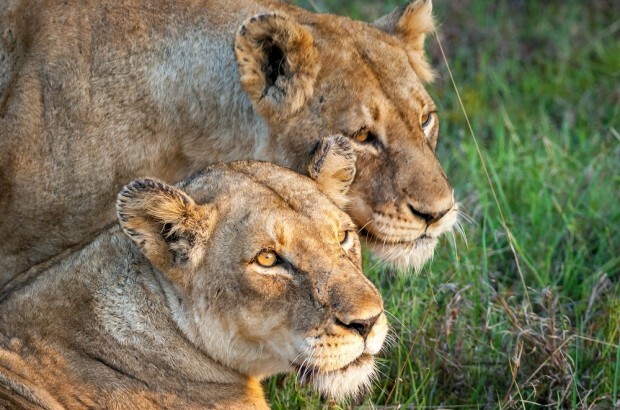 Like most novice safari visitors, we had our dreams of seeing Africa’s big five game: the mighty lion, the majestic African elephant, the shy leopard, the fearsome rhinoceros and the unpredictable Cape buffalo. 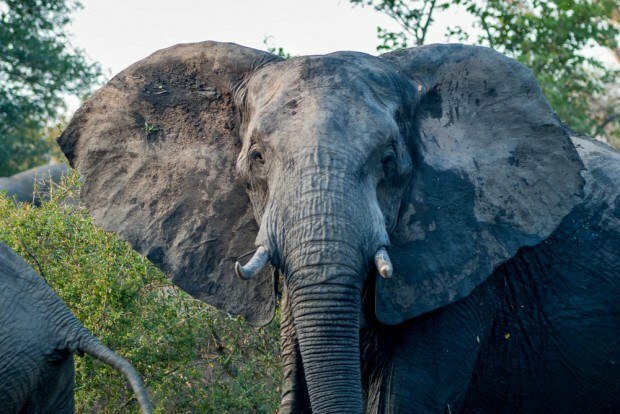 Of course, there are other animals we wanted to see: the skittish zebra, the elegant long-necked giraffe, the vicious hippopotamus, the stealthy crocodile, the graceful impala, and many more. 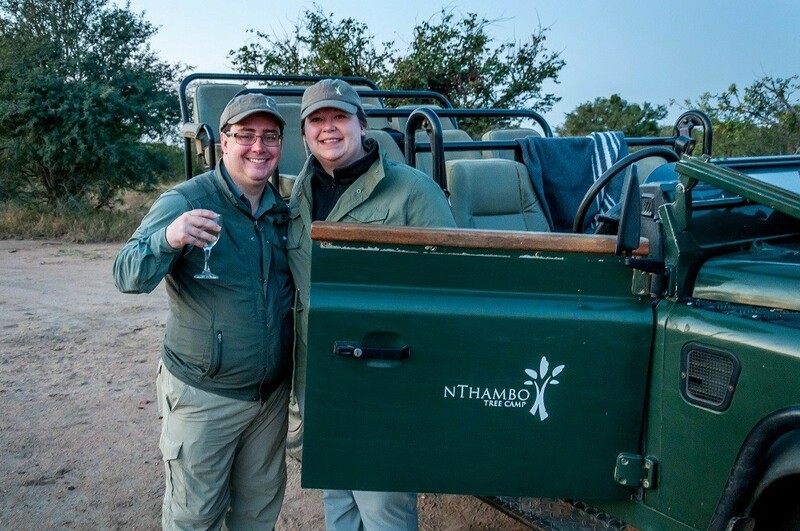 So, in the early pre-dawn hours, we boarded our open-top Land Rover for our first game drive in the Klaserie. It was a cold South African winter morning and we huddled under blankets clutching our cameras and hoping for big game sightings. Humming along the dirt track roads, we slowed for sightings of impala herds and several kudu pairs. Our first sighting loomed large as we turned a blind corner. There, munching blissfully unaware on a small tree, was a male elephant. Due to the blind corner, we’d stopped closer to the elephant than our guide normally would like, however, this male was entirely unphased and gave us only a glance before going back to eating the tree. Shortly thereafter, we came on square-lipped rhinoceros (sometimes called white rhinos) in a small clearing. These fearsome beasts were shy with us, sliding behind a bush and play hide-and-seek as we watched them. Our guide, Matt, and tracker Enoch from nThambo Tree Camp explained rhino conservation, anti-poaching efforts and the disgusting trade in rhino horns. 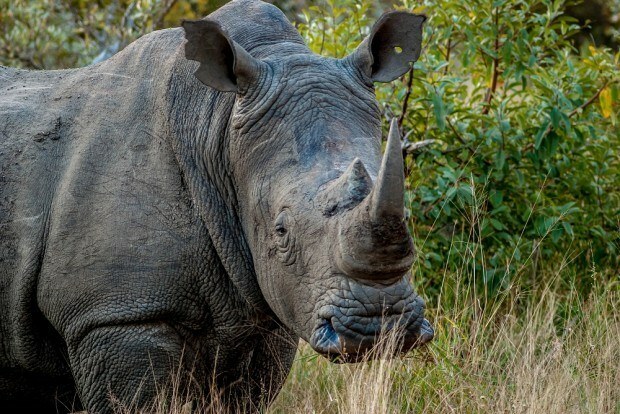 You read about this kind of thing in the news, but seeing this magnificent creatures up close (and not in a zoo), makes it all the more real…and heartbreaking. On a subsequent afternoon drive, we saw four of the big five in one trip. Straight off, we saw a family of rhinos in a clearing – including a male, female and a calf. 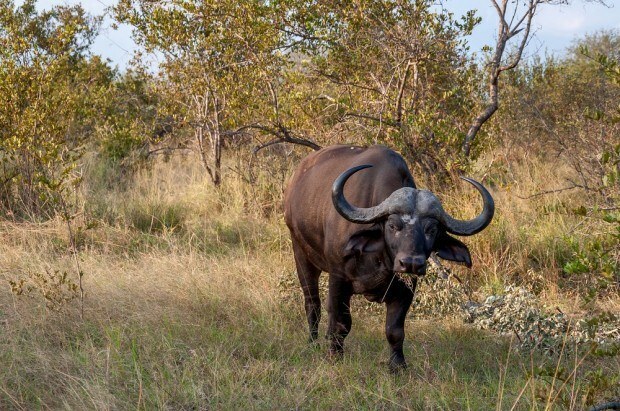 As we worked our way west towards the approaching sunset, we came on a herd of Cape buffalo were gathered in a small field and nearby a small male elephant was happily ripping a nearby tree of all its leaves and small branches. 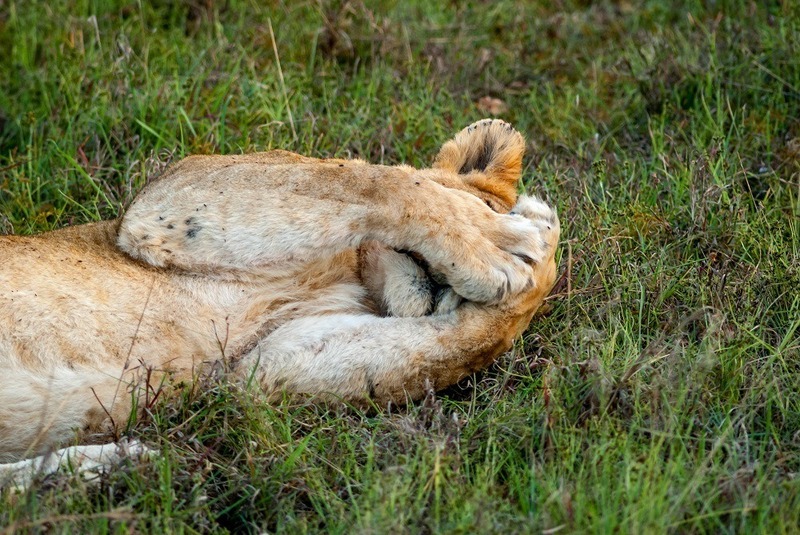 Just down the dirt track, we headed off into the bush were two female lions were lounging in the shade. One of the lions had recently given birth. On this drive, we also saw warthogs, zebras and kudu. We moved to a different part of the Klaserie Reserve for the last part of our trip. On our final morning game drive, our game ranger Faffa from Africa on Foot camp, took us out for a game drive in the search of our final big five animal: the leopard. 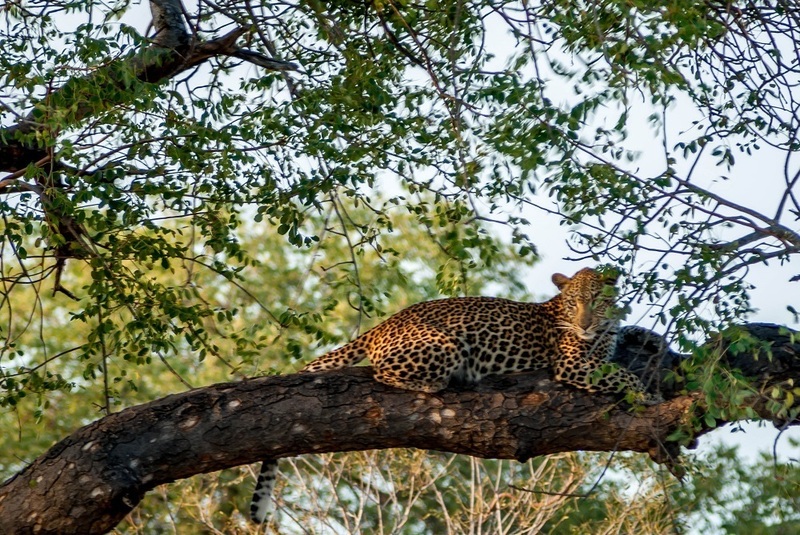 Far from our camp, in a stand of tall trees, we found one lounging lazily on a branch in a tree. She took our presence in stride. We were impressed with how beautiful these animals are! Looking back, a lot of people who go on safari spend time fixated on the Big Five. And they are each amazing to see. However, along the way, we realized that the journey is actually the destination. The process of tracking the animals, stopping to look at animal tracks in the soft sand and the way the grasses have been pushed down – it’s all part of the safari experience. Yes, we had a game drive where we didn’t see anything other than three impala – all for a four-hour effort. However, even in that experience, we were having the time of our lives. 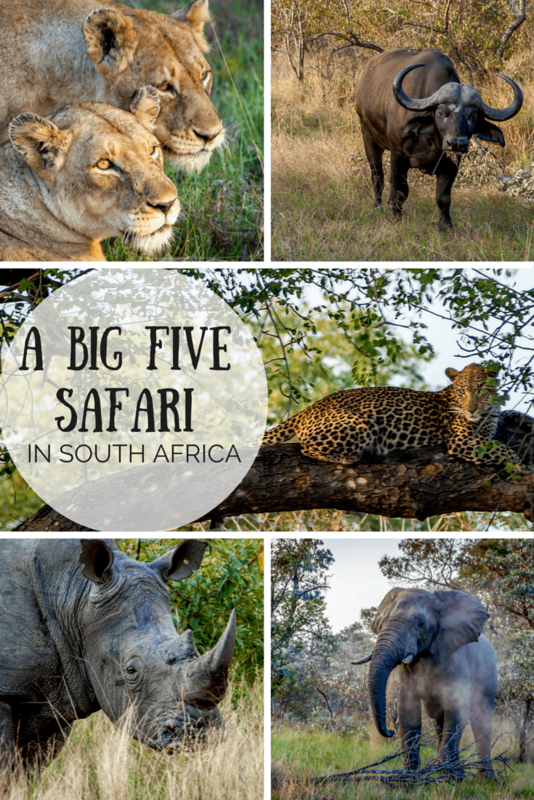 Going on a big five safari was a dream come true! We were the guests of Africa on Foot and nThambo Tree Camp. As always, all opinions are our own. A Monumental New York Road Trip Top 10 UNESCO World Heritage Sites to Visit Shoot Smarter: 15 Travel Photography Tips Picking a Park on the Riviera Maya — Xcaret or Xel-Ha? What do you think about Fulfilling a Dream – An African Big Five Safari? Glad that you had a good time! Exactly, Helen 😉 We see why you love Africa so much. This is whetting my appetite for our trip to South Africa in October. I’m sure I’ll be bugging you with some more questions. Thanks for sharing. You will have an amazing time! Happy to help! I have done safaris in Sri Lanka, but that was mostly to see Asian elephants. This sounds amazing and something I would dream of doing!! What a cool experience you had, even if not all of the missions panned out as you expected. The variety of animals was really remarkable. Not every game drive was a homerun, but we still saw so much! I’m a bit obsessed with getting to Africa lately, and this coverage isn’t helping 🙂 So glad you were able to make a big travel dream come true, and can’t wait to hear more! Thanks, Alex. We had very high expectations and our experience exceeded them at every opportunity. I feel like I need a thesaurus so I can say something other than “amazing,” but it really was. Because we stayed in a private reserve, we were able to go off-road, so we got much closer to the animals than we would have imagined. On average, we were probably 20-30 feet away, which helped with the photos! Wicked stuff guys, and congrats on landing this gig! Looks pretty amazing! I love the “cats” at the beginning of the post. Such a great adventure and great opportunity for wonderful pictures… opportunity that you clearly have not missed, but made the most of it. Great photos! Leopards very hard to spot, congratulations on seeing one. I lived in Africa for a while as a kid and have gone back a few times – there’s something very special about this continent. South Africa is amazing. We’d love to go back and hope we’ll get the chance to explore more of sub-Saharan Africa too. Going on safari has always been a dream of ours as well. How long did you end up spending in South Africa. Did you find that 2 weeks was enough or did it just scratch the surface? This is SO on my bucket list. Seriously amazing pics! The earth is amazing, isn’t it? Thanks, Erica. It really was an experience like no other. We went on safari in Tanzania earlier this year and it was seriously one of the best trips we’ve ever been on. We too save all of the Big Five. It’s really something to see these animals just doing their thing in the wild. It’s such a great adventure. We definitely hope to go back. Wow I can’t imagine how wonderful it was to see leopards in their habitat! Sounds like it was a wonderful trip.